Never afraid to stand up for the planet and people, Emma believes music can be instrumental in social change and is leaning into this ideology with her role as Co-CEO of Green Music Australia and keeping her audience as involved in her shows as possible. 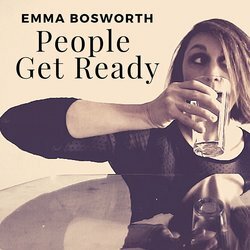 Joining Emma on her sophomore record is Peter Bosworth on drums (The Cutaways), Harvey Blues on guitar (Blues Arcadia), Reuben Schaefer playing bass (The Cairos, Strangerland) and Tobias Broughton on keys. Mixed by Tim Powles (The Church).